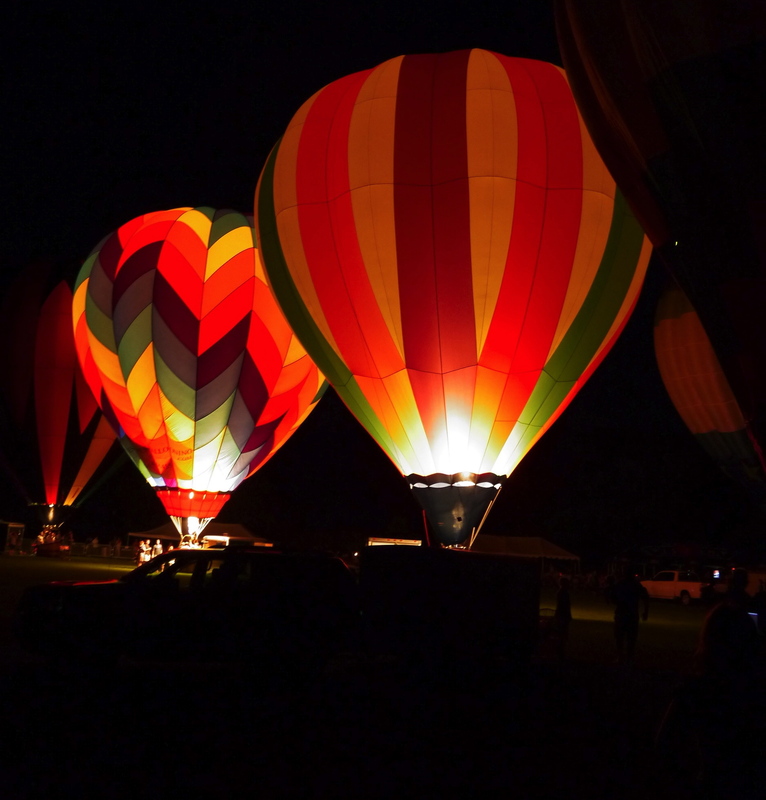 The Balloon Glow always offers great photo opportunities for visitors to the Chester County Balloon Festival, which will be held Friday and Saturday at Plantation Field in Unionville. 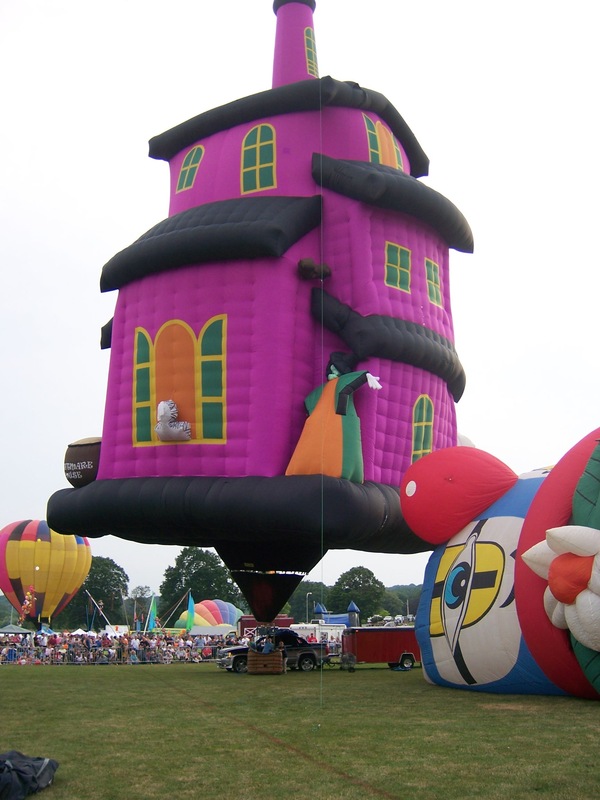 A popular, quintessential Chester County event is about to take flight: The 2013 Balloon Festival., a colorful, family-friendly outing with more than 20 balloons, including some in special shapes. This year’s event will be held at Plantation Field in Unionville on Friday and Saturday. On Friday, gates will open at 5 p.m. with a balloon launch scheduled for 6 p.m. – winds and weather permitting – and a balloon glow at 9 p.m. On Saturday, entrance starts at 3 p.m., with musical entertainment by Levi Road at 4 p.m. and Jake’s Rockin’ Country Band at 6 p.m.; a mass balloon launch is also set for 6 p.m., culminating in a balloon glow at 9 p.m. Admission is $10 per car at the gate, with some activities requiring additional fees. The coveted Victory Brewing Company VIP Party is already sold out, but opportunities still exist for balloon rides, another frequent sellout that must be booked in advance. Balloons in a variety of shapes, sizes and colors will delight crowds at the 2013 Chester County Balloon Festival. Deb Harding, the pilot in charge of the balloons and also one of the organizers, said she is excited about the new venue as well as this year’s landowner appreciation raffle. She explained that because balloons are dependent on the wind, pilots appreciate having multiple landing options. To encourage people to welcome the balloons, each landowner where a balloon touches down will receive a bottle of champagne – a tradition that dates back to France in the 1700s – as well as a raffle ticket for a chance to win a magnificent gift basket. Harding said thanks to the generosity of supporting businesses, so far the basket is worth about $1,000 and contains items such as a $50 bottle of champagne from Maki Winery; 10 free tasting coupons from the Chaddsford Winery, a balloon flight for two from Air Ventures worth $400, a $200 discount coupon from the Decorating Den, a free A/C tune up from Horizon Services, wine glass jewelry from Paparazzi Glamour Girl, dinner for two at either the Firecreek Restaurant and Bar in Downingtown or Four Dog Tavern in Marshallton, and framed photos from Photographic Art. Landowners who would like to experience the thrill of having a balloon land on their property should spread an old bedsheet, cloth, or large paper marked with an “X’” or “OK to land here” on the lawn or field, or tie helium balloons to their mailbox, Harding said. Lived very close to the site for Quick Check Festival of Ballooning in Readington, NJ for 30 years and had many picnics in our yard. The balloon Virginia is for Lovers landed there one year. So happy we can see balloons once again. Will there be any food vendors or is there a picnic area? We will be coming on Friday.